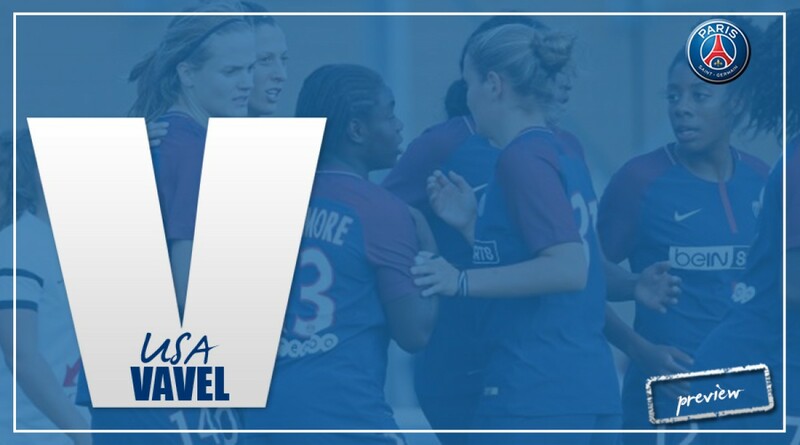 As the first ever Women's International Champions Cup is just around the corner, VAVEL USA takes a look at PSG and how they are coming into the tournament. Paris Saint-Germain will compete in the inaugural Women's International Champions Cup in Miami, Florida. PSG will be joined by Manchester City, Olympique Lyonnais and North Carolina Courage. As PSG begins their preseason training, VAVEL USA takes a step back to see how they are preparing for the firs ever ICC. PSG is a French sided team that was formed based on their male counterpart. They were founded in 1971 and worked their way into the Division 1 Féminine league. 2017 was a good year for the dominant French side as they made it to the final of the Champions League, French Cup and the Coupe de France Féminine. Unfortunately, PSG were only able to win the Couple de France Feminine as they lost the other two to Lyon in penalties. During the regular season, they finished the season off with a record of 24-2-2. PSG is heading into this tournament with a new head coach. Olivier Echouafni was just recently announced to be taking over the coaching position after the resignation of Patrice Lair. This will be the first tournament that Echouafni will be tested in. Although it is a very small tournament there is still the chance PSG could play their French rivals Lyon in yet another final. This tournament could be an important test to see how PSG can be expected to play this year in the Champions League. This team is loaded with international players basically all over the pitch. Although, their strongest area is with their attackers. Marie-Laure Delie and Marie-Antoinette Katoto are their star attacking powers. Delie holds the club record with 131 goals plus is a star striker for the France national team. It is unconfirmed whether Delie will play in the tournament seeing as her contract ran out in June and she was not seen at the teams first practice according to Culture PSG. Katoto is a 19-year old star that scored 21 goals in 21 matches last season. She has a total of 37 goals for the club and lead the team in goals scored last season. Swedish international, Emma Berglund holds down the defense with Brazilian international, Erika, Spanish international Irene Paredes and Canadian international Ashley Lawrence. It was Berglund's first season with PSG last season. She made 11 appearances and scored one goal due to an ACL injury that ended her season. On the other hand, this will be Erika's fourth season with the club, she has 29 appearances and eight goals. Pardes has made 18 appearances and scored two goals. Lawrence was a high prospect in the 2017 NWSL College Draft upon graduating from West Virginia University but instead opted to play at PSG where she has made 46 appearances and scored one goal. At age 40, Brazilian midfielder Formiga captains the team. Alongside her in the midfield is Andrine Hegerberg from Norway. Hegerberg just recently joined the team and has six appearances. PSG will play NWSL side North Carolina Courage in the first match of the ICC. They will play at Hard Rock Stadium in Miami, Florida at 6:15pm ET on Thursday, July 26th. Depending on the result of the match, they will either play in the third place match or in the final on July 29th. PSG will also play Manchester City on July 24th in Portland, Oregon in an exhibition match.